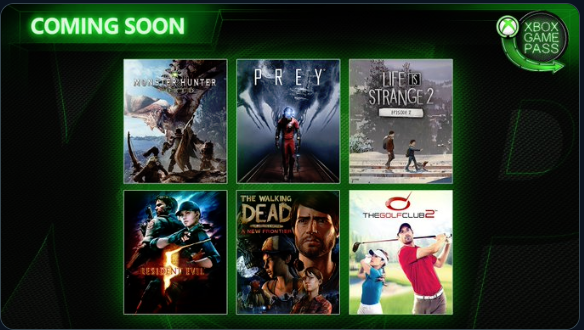 Xbox Game Pass owners are in for a treat this April. Microsoft is adding 6 new games tot he service. One of which is Monster Hunter: World. The other titles include Bethesda and Arkane Studio's Prey, Resident Evil 5, and Life is Strange 2: Episode 2. For those unaware of the service, Xbox Game Pass grants the user access to dozens of Xbox One and Xbox 360 games for $9.99 a month. Currently, there's a rumor that Microsoft may bundle Xbox Game Pass with Xbox Live Gold for a discounted price. Considering the pass does not include online play this would be an ideal match.